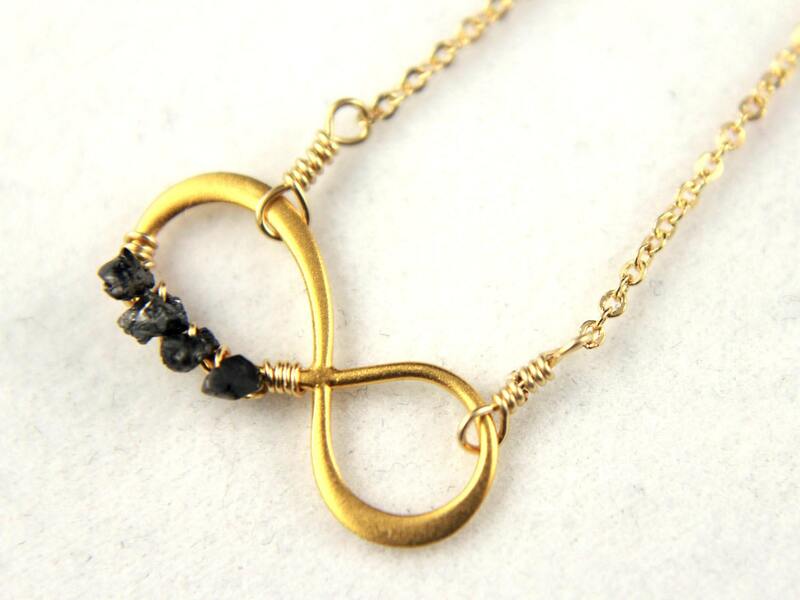 24K heavy Gold plated Infinity charm is hanging from 14K Gold Filled chain. 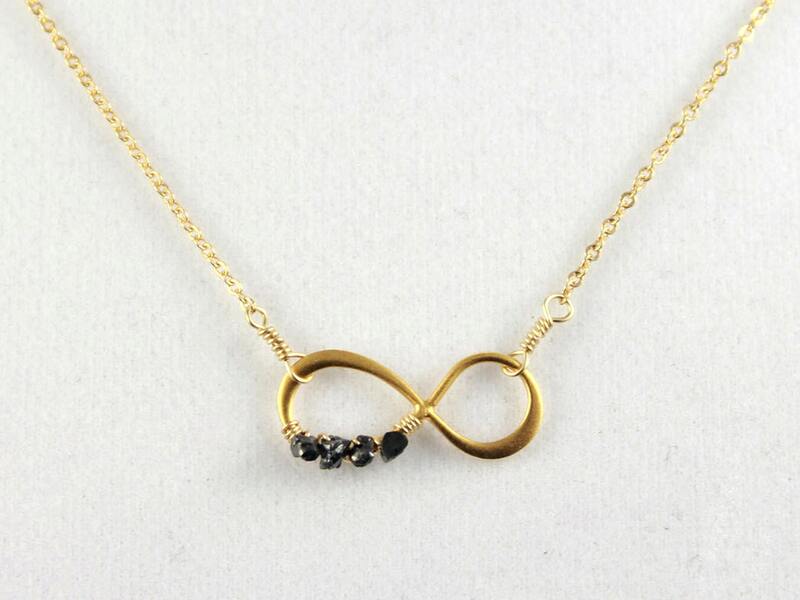 The figure eight shape, satin-finish charm measures 20 x 8 mm in dimension. 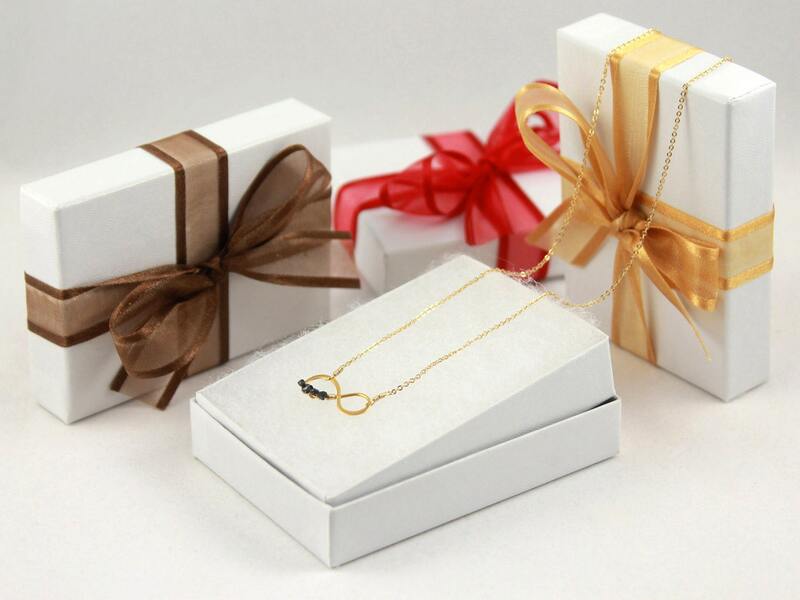 Four rough diamond stones are wire-wrapped with 14K Gold Filed wire on one side of the charm. The diamonds have a natural color variance from dark grey to black and measure approximately 2-3.0 mm each. 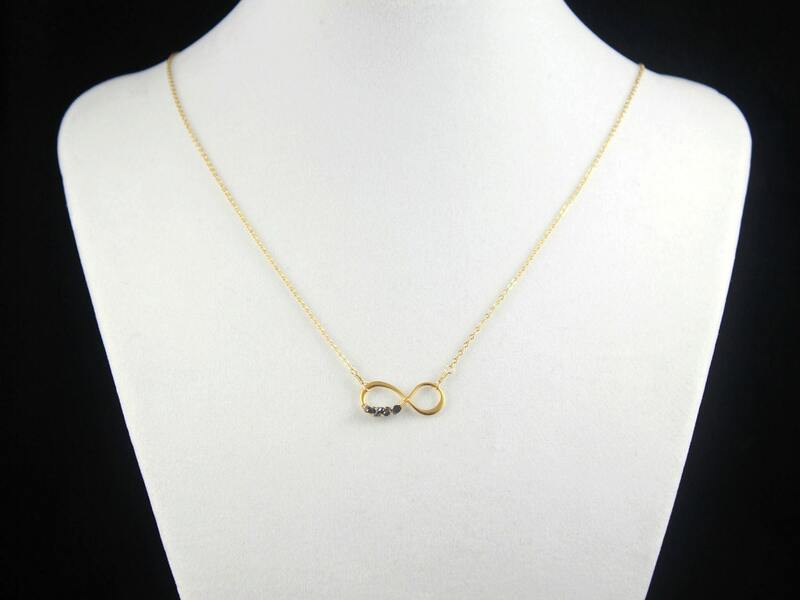 This figure-8 timeless infinity charm is made of Sterling Silver and is heavy plated with pure 24-karat gold. 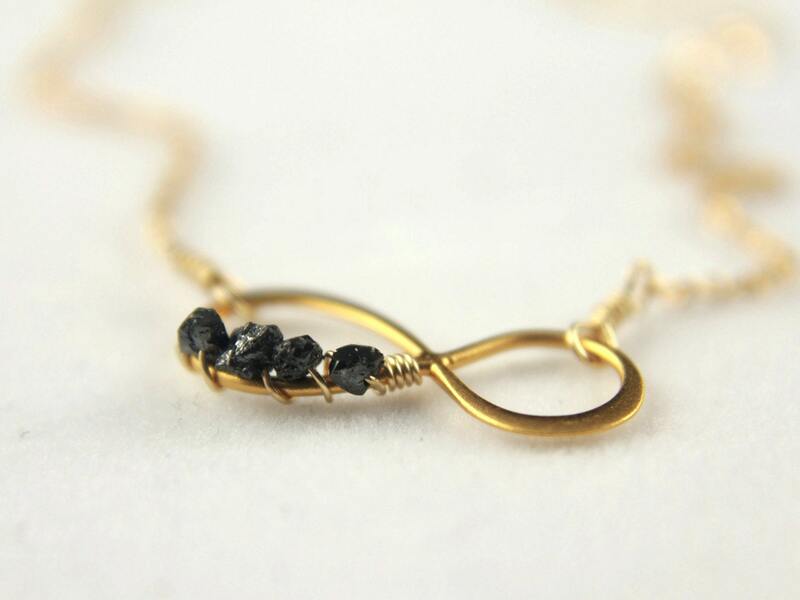 With addition of these precious rough diamond chips, the charm makes an eye catching addition to this wonderful necklace.